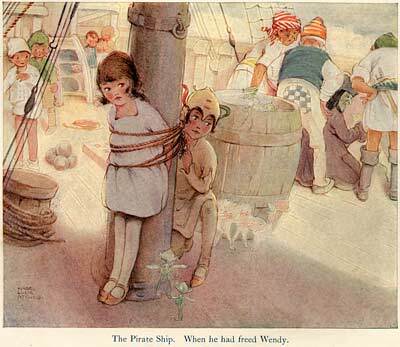 There often seems to be a disconnect between the illustrators Walt Disney hired to do inspirational artwork for his films and the designs he actually ended up using. 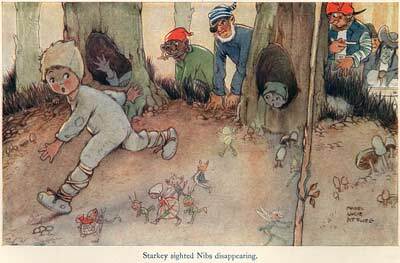 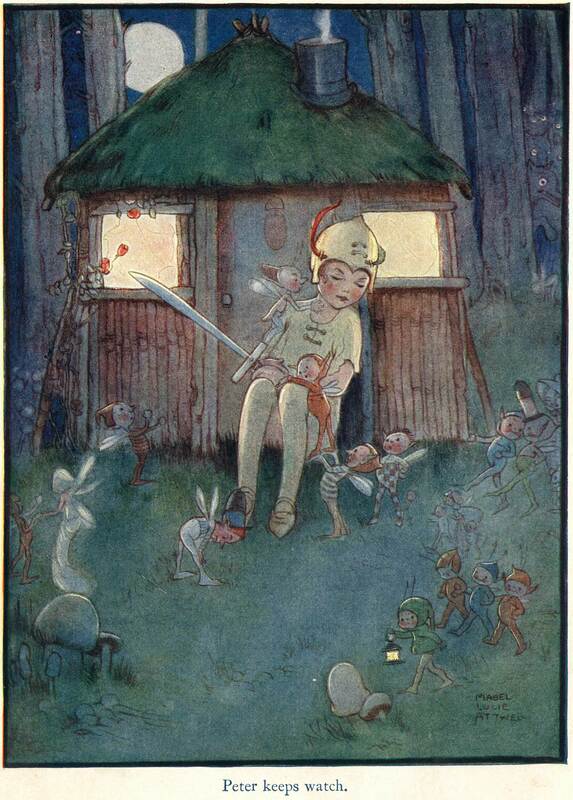 On Snow White, Disney hired the amazing painter, Gustaf Tenggren; but his instructions to him were to paint in the style of Arthur Rackham. 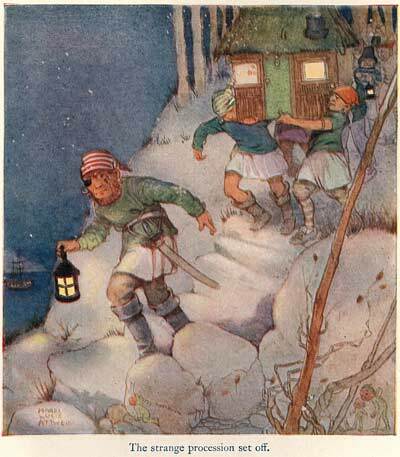 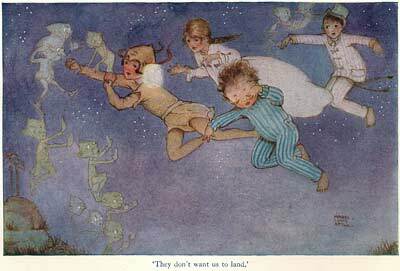 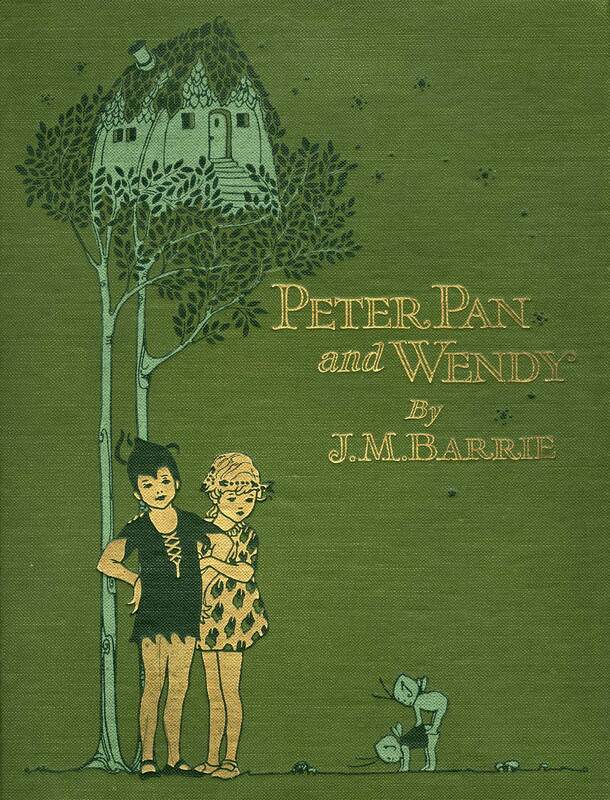 For Peter Pan, he hired the illustrator David Hall, but the film itself doesn’t resemble his work at all. 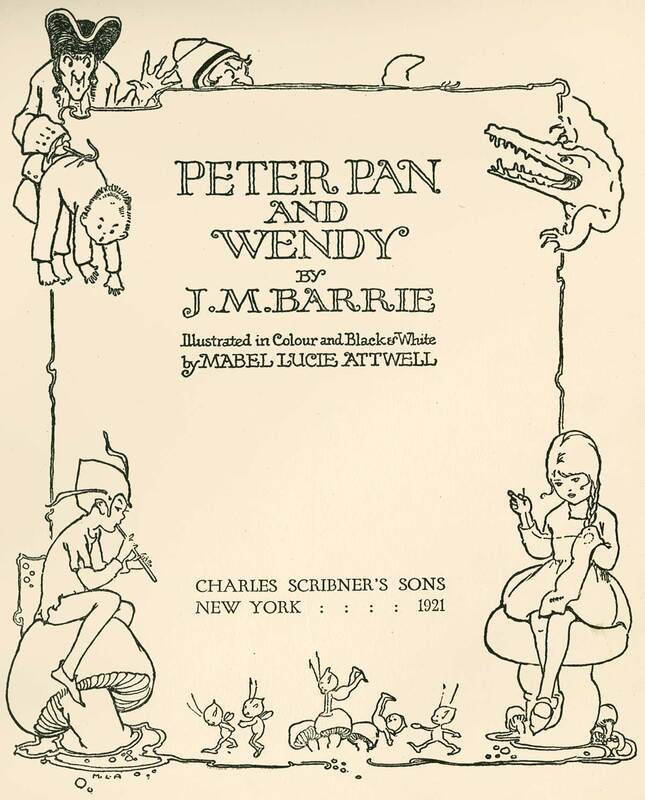 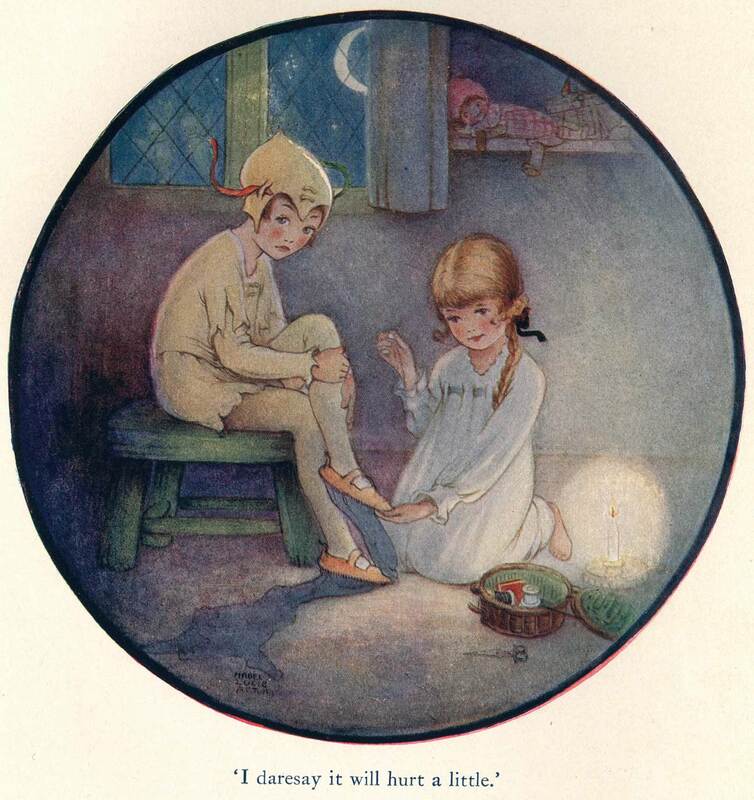 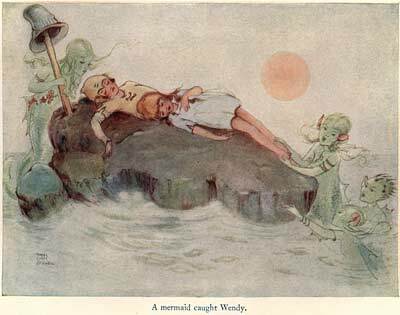 Instead, it’s actually closer to being a "Disneyfication" of Mabel Lucie Attwell’s illustrations for the 1921 edition of J. M. Barrie’s Peter Pan & Wendy. 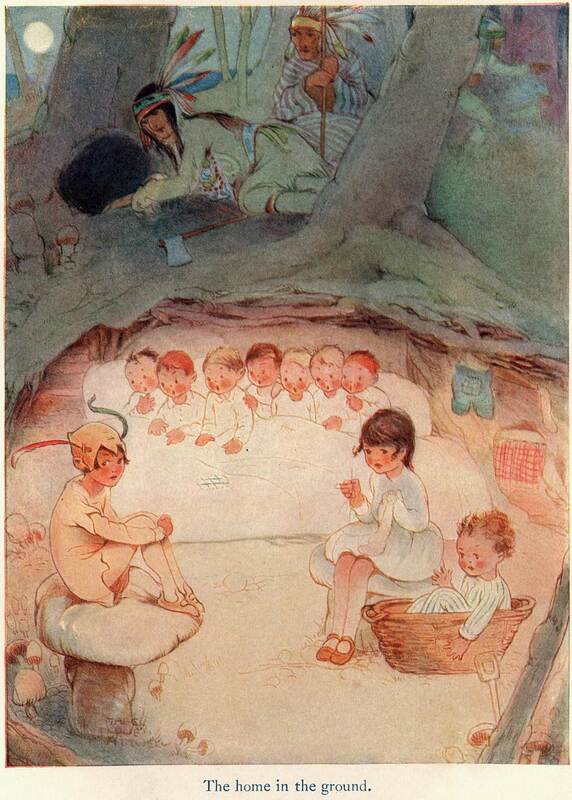 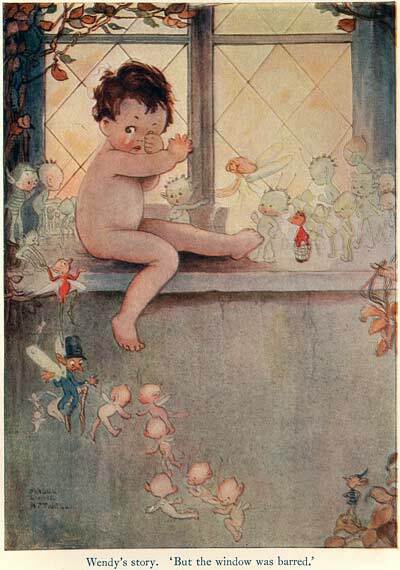 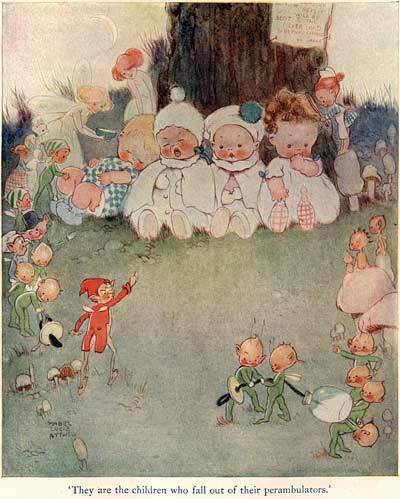 Attwell was born in 1879 and received some education at the Regent School of Art and Heatherley’s School of Art in London, but she grew bored with her academic studies and dropped out to focus on her own interests… painting cherubic children and fairies. 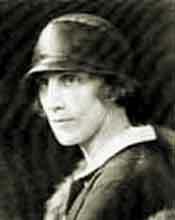 Her work wasn’t very warmly received at first by galleries and agents, but when her first batch of paintings sold out in three days, they became much more enthusiastic. 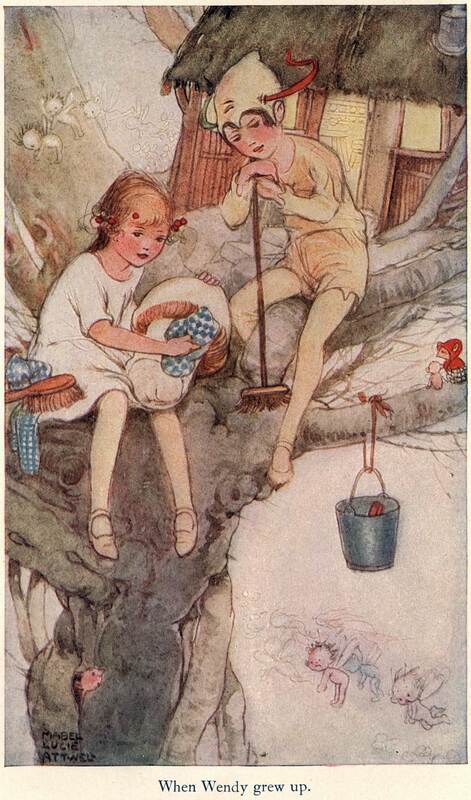 Attwell illustrated greeting cards and children’s books, the most famous of which we are featuring today, Peter Pan & Wendy. Disney didn’t appropriate Attwell’s baby faced characters, but he did use some of the same details of costume and setting, and placed the emphasis of his visual storytelling on many of the same elements. 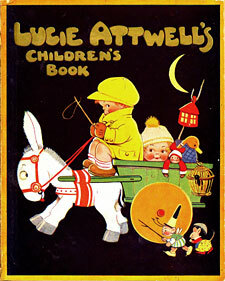 Attwell’s designs lean a bit too heavily on formula, but there is a distinctive delicate appeal to her style. Enjoy. 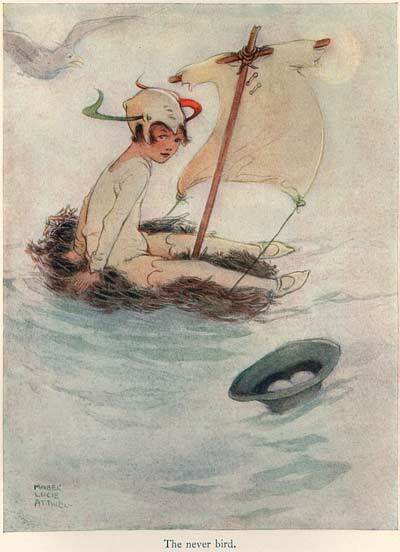 This entry was posted on Wednesday, September 5th, 2018 at 12:54 PM	and is filed under illustrtation.